Which pretty much holds true for the rest of the uk at the moment. And June was a bit hit and miss, even so. So what was I doing in june? 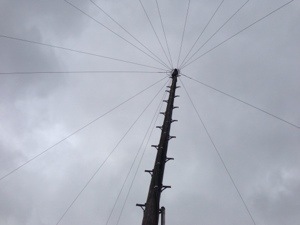 Firstly… Not climbing this extremely tall pole on a freezing cold day. Do I need mention it was raining to? 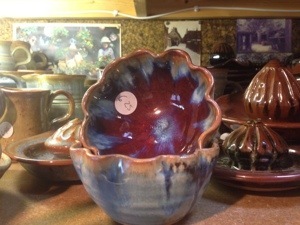 I went back to Crail Pottery, bought more stoneware, and coveted some bowls. Decided that the fiddly pink blanket I am making For K-k-katie , using the sarah london Wool Eater pattern in six shades of pink, was going to kill my fingers. 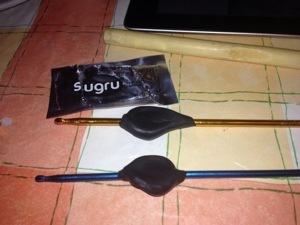 So I broke out the Sugru and made custom thumb rests in my 4mm and 4.5mm hooks. 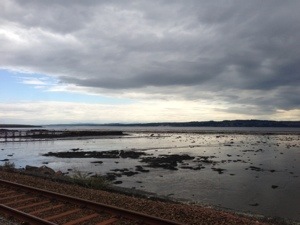 Visited my mum and dad, who live in an award winning village in Fife, and went to look at the beach. It was high tide, and it was raining, but… still a cracking view. Came home via aunt peggy and uncle billy's house. Stripped clean, empty, and ready to be sold, I had to take a photo of the carpet I grew up with. It's just occurred to me thst these are the shades I dye my hair most often. 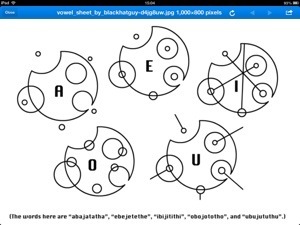 I may have hooked nephew A on circular gallifreyan, sindarin, angerthas, and a number of imaginary languages. Oops! 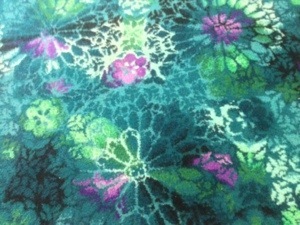 And then I did some more coveting. 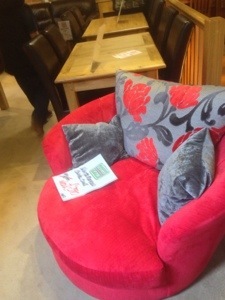 Circular 'Cuddler’ chairs, heaped with cushions, are exactly the right size for a library reading chair, no? pink wool eater : 8 balls of wool in, 3 to go, takes hours to go round. Pink triple strand single crocheted blanket : halfway through. 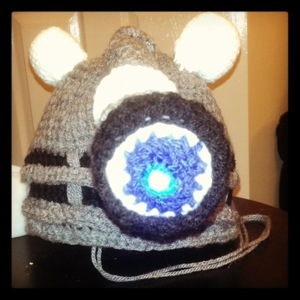 Zombies crocheted : Zero, but I have the perfect sickly green for their skin!